This is an extract from a presentation provided by Luc Deckinga, a design application manager and computational designer at Perkins + Will. By going through this Revit video, one can learn how to apply Dynamo into Revit for generating a Revit shading fin family with performations on the basis of a source image. With Dynamo, the Revit users get the ability to perform things. This Revit video focuses on the existing methods, hindrances and restrictions of transforming Dynamo geometry into Revit together with the newest ImportInstance. The Adaptive Components and other alternate options are utilized with ByGeometry node. Dynamo belongs to a open source tool that extends building information modeling with the data and logic environment concerning a graphical algorithm editor. Nathan Miller comes with a useful video for Revit users. 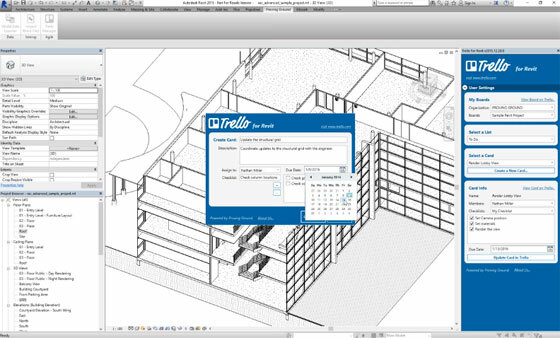 This Revit tutorial will provide you the demonstration concerning an early functional prototype for a Trello Revit add-in. This tool is used to deal with Trello-based boards, lists, and cards inside the Revit modeling surroundings. MBD represents model-based definition. 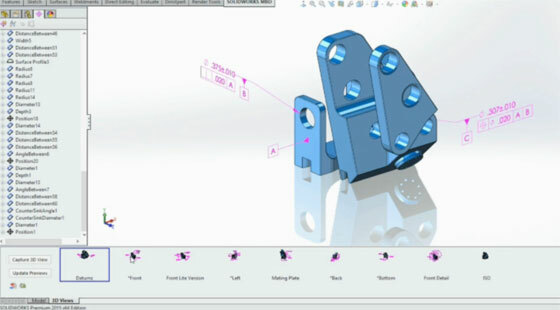 MBD offers similar functionalities of PIM, or product information modeling. It offers unconventional way to dimension parts in both 2D and 3D. It is the procedure of applying various 3D models like solid models, 3D PMI and related meta data inside any CAD software to offer specifications for specific components and product assemblies. There are various kinds of information in MBD which range from geometric dimensioning and tolerancing (GD&T), component level materials, assembly level bills of materials, engineering configurations, design intent, etc. MBD facilitates to put both traditional and GD&T dimensions on the 3D model itself throughout the design phase. The engineer or designer can arrange these dimensions on the model for diversified applications. Modern 3D CAD applications take into account the inclusion of engineering information like dimensions, GD&T, notes and other product details inside the 3D digital data set concerning components and assemblies. MBD applies such attributes to organize the 3D digital data set as the basis of these specifications and design authority for the product. 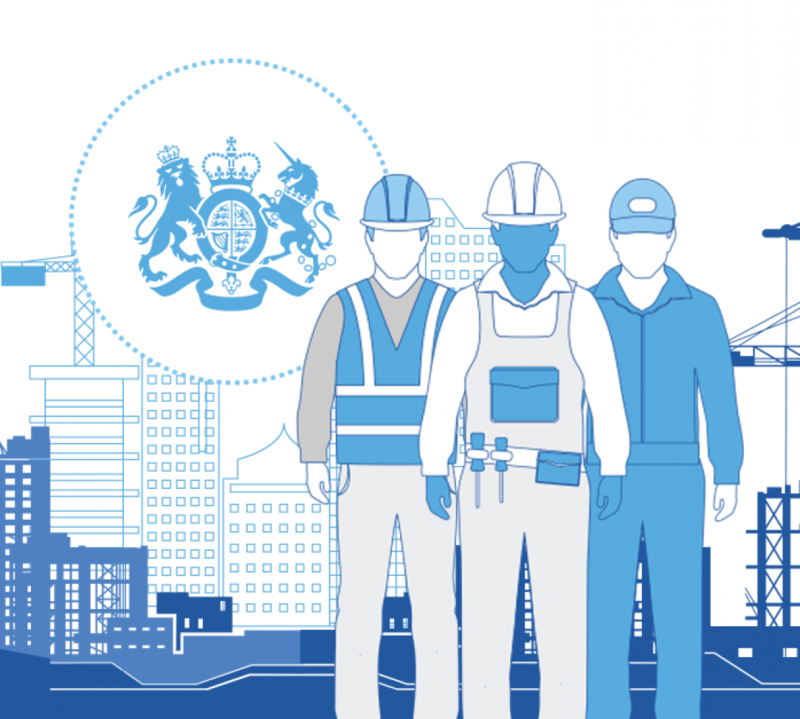 The 3D digital data set may comprise of adequate information to manufacture and examine product devoid of any engineering drawings. In several cases, applying some information out of 3D digital data set (e.g., the solid model) facilitates fast prototyping of product through different methods like 3D printing. A manufacturer can supply 3D digital data directly to manufacturing apparatuses like CNC machines to manufacture final product. This handy Revit tutorial is presented by Daniel Severino where he briefly explains how to put in a window containing double height and modify the host walls in any Revit project with the use of Revit 2016. In Revit 2016 there are some useful features like the string based search and select functionality. The feature will save your huge time when you are planning to insert a component/wall/door/window as you don’t have to scroll through the extensive list of objects already assigned into the model rather you can just type the first letter of the component and it will limited the list of choices to the object you are thinking of. 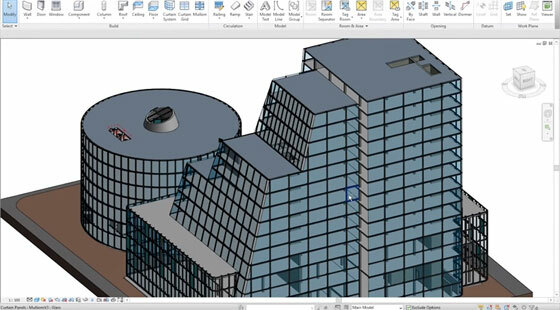 This is a useful Revit tutorial on Revit Mep 2016. The tutorial focuses on how to use Revit Mep 2016 to create the estimate as well as the design of electrical installations. Revit Mep is a very useful software for estimating electrical single-phase systems and three-phase, high and low voltage connections designed transformers and motors. 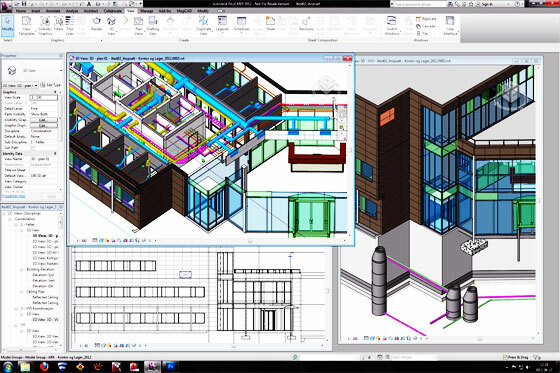 Besides, Revit Mep can be used to verify lighting project as per regulations and facilitate setting up rigid pipelines and/or flexible or cable trays. This is an excellent Revit video by the youtuber Samuel Arsenault-Brassard. The video will teach you how to design complicated architectural concepts by drawing them manually in virtual reality. The technologies used here are Oculus Rift DK2 & Leap Motion Graffiti3D.Net. 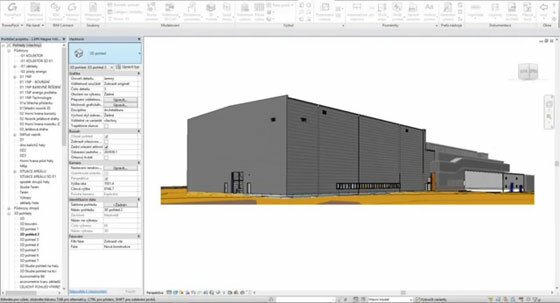 In this revit tutorial video, the youtuber Tomas Huml briefly describes the the new features of R2 PowerPack for Revit 2016. This revit video mainly emphasize on reinforcing. 2016 R2 presents new tools for Reinforced Concrete to develop and edit 3D rebar, control rebar numbering together with rebar annotation and dimensioning tools. 2016 R2 also consists of more than 1100 Revit families proficiently restricted for 16 country regions. Besides, these revit families cover all the current and new tools containing Reinforcement Symbols, Formwork Symbols, Annotations, Titleblocks and many more.